Islamabad: Federal Islamabad Capital Territory (ICT), being a modern and urban area, is believed to have residents from all across Pakistan, making one of the most diverse and rich-culture city. With a population of 1.43million, 37% (0.53million) of the residents are of school going age. Approximately 3 out of 10 Pakistani students are enrolled in private institutions (with more enrolled in urban centers vs. rural locations). 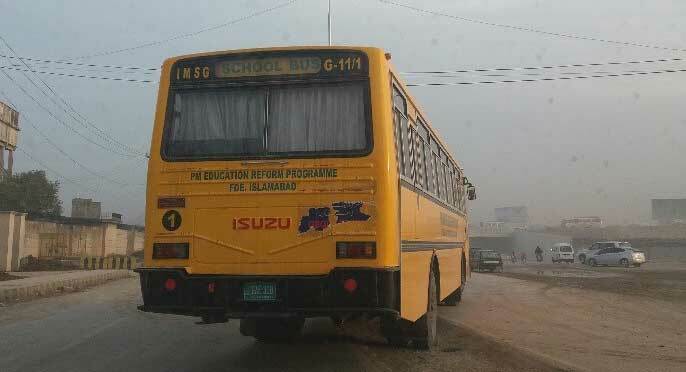 The private education providers are an important side of the Pakistani education landscape. (Source: (NEMIS-AEPAM, 2015; Dahal and Nguyen 2014). This growing trend in private schooling (among more mid to high-income parents) clearly reflects the parents’ satisfaction on quality of private education. No doubt that the private schools are robbing parents on this by high tuition and other surcharge fees. An accountability mechanism for money versus quality must be in place. Only ICT has 632 private educational institutions that appear in SSC and HSSC exams with Federal Board. ICT is good at imparting education to children and therefore the out of school ratio is just 0.2% of total out of school children in Pakistan. ICT has a remarkable position when it comes to net enrollment of children. Every 9 out of 10 children are enrolled in schools. With pride it is stated that ICT is also the only area in Pakistan where primary enrolment rate is higher for girls (72%) than boys (68%). For the last five years ICT schools have an average of above 50% results. Not only this, ICT schools students obtain top positions in primary, middle, matric and inter boards which marks the educational progress of these institutions. ICT result was above 48% and 58% in SSC and HSSC respectively in 2017. After the APS attack in Dec 2015, PM Nawaz Sharif directed to rename 122 schools and colleges of Islamabad after the martyred students of the Army Public School and College Peshawar. 122 institutions were renamed to APS attack in ICT. This was a simple change of name of institutions. e.g. 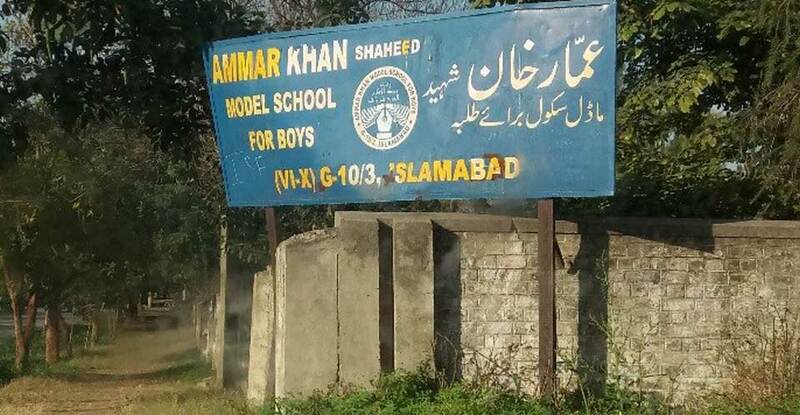 the Islamabad Model School for Boys (IMCB), F-8/3 is now named Azaan Shah Shaheed School, F-8/3, Islamabad. Along with this the implementation of National Action Plan called on all educational institutions to provide some additional security within school premises. 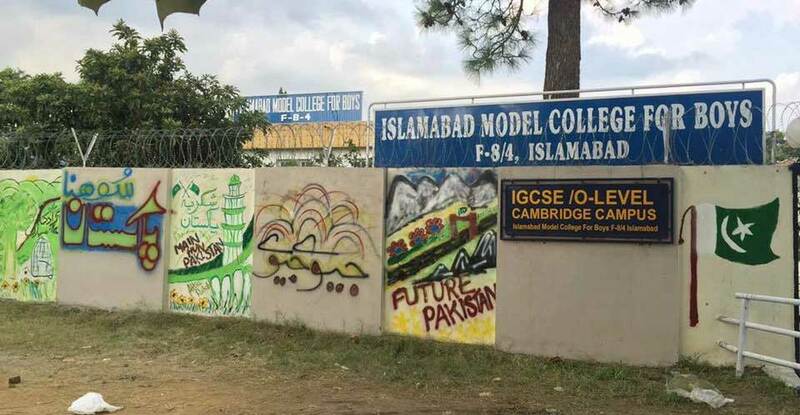 This included provision of boundary walls with security/razor wires, raising height of boundary walls, security cameras, security guard, checking of parents/ visitors, outside the gate. In 2016 a Prime Minister Education Reforms project was announced and inaugurated by Prime Minister Mr. Mian Muhammad Nawaz Sharif. The package included upgradation of school services to students and teachers. Almost half of the ICT public institutions (200) were planned for upgradation through this project. The announced reforms included initiation of Montessori in 21 schools, provision of clean drinking water facility, construction of washroom blocks and additional classrooms, improving the existing facilities and the installation of barbed wires. “The PMER programme was launched in the Islamabad Capital Territory in December 2015 to upgrade or put up buildings, computer labs, playgrounds and other facilities at government schools and colleges, besides providing them with buses. This is more related to uplift the state of government schools in the federal capital. Public educational institutions of the federal capital are showing good results due to successful implementation of the PMER. The number of out of school children has declined from 26 to 22 million between the years 2012-16”, says Ms. Maiza Hameed Parliamentary Secretary for Capital Administration and Development Division (CADD). “Montessori classes have been started in 21 public educational institutions of Islamabad. This aims to bring children of 3 to 5 years of age into public sector schools. The next phase would be for remaining 200 schools”, she added. Statistics highlight that there are more than 50 students per class in ICT schools. This contradicts the notion of individual attention to each student which is required for better grades. Therefore the business of tuition academies and private schools has stepped deep down into roots of educational culture. “Schools especially government ones, need more dedicated teachers that do not follow ratta-fication and instead focus on building the conceptual understanding of our youth.”, says Mohammad Ikhlaque, a retired principal. He also stressed the need for enhancing the capacity-building of teachers to guarantee delivery of quality education to students. “Our school has got a new bus, some clean water and one additional classroom. It is upgraded from FG school to a model school. But we need more teachers to get good results. In real it has a standard difference from existing model schools. Federal area schools are more neglected to urban schools”, says Ms. Nafeesa, a secondary school teacher at FG federal area school. Besides a spending of 4 billion on PMER, the mode of education and capacity building of teachers is still a dream come true. Although this upgrade was also long time needed, PMER needs to do more to provide any progress to educational standards, procedures, curriculum and capacity building and so on. We hope that the next phase will focus more toward the quality of education, teachers’ capacity and teachers-students ratio in classrooms.